Thin sections of Inconel 718 sample was treated with laser-based metal deposition using a CW CO2 laser. The Taguchi-based grey relational approach was incorporated for determining the optimized process characteristics of the laser treatment. Laser scan speed was varied at a constant laser power in order to analyze the effect of cooling rate and the subsequent thermal gradient on the microstructure and other properties of the base alloy. The presence of γ′-(Ni3Al, Ni3Ti) and γ″-Ni3Nb precipitates in the interdendritic boundaries was evidenced in the deposition zone. The increase in laser scan speed to 600 m/min changed the microstructure from coarse to fine grains, and a further increase to maximum laser power of 1.75 kW showed the transformation to still finer dendritic structure. Even though the fine dendritic structure, it also resulted in delamination of bonding layers which could be deleterious. X-ray diffraction spectrum revealed the precipitation of γ-NiCr, γ′-Ni3Al and γ″-Ni3Nb in the γ-Ni matrix and there was no evidence for the transformation of γ″-Ni3Nb to δ-Ni3Nb. It indicated that the selected laser parameter had the least possibility of influence in the formation of intermetallics after treatment. The significant effect of grain refinement improved the hardness by 15–20%. The tensile test on Inconel 718 showed the Ni3Nb precipitate particles initiated the interfacial failure and was encountered with ductile mode of fracture. Zagula Y M, Romanowska J, Pytel M, Sieniawski J, Archiv Civ Mech Eng. Article in press. https://doi.org/10.1016/j.acme.2015.03.006 (2015). 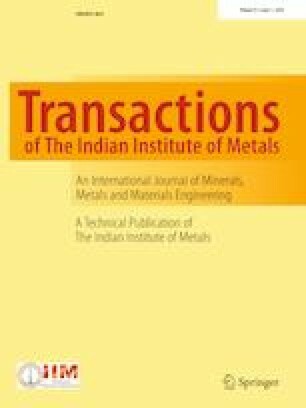 Yilbas B S, Akhtar S S, Karatas C, Surface and Interface Analysis, wileyonlinelibrary.com, https://doi.org/10.1002/sia.3811 (2011).